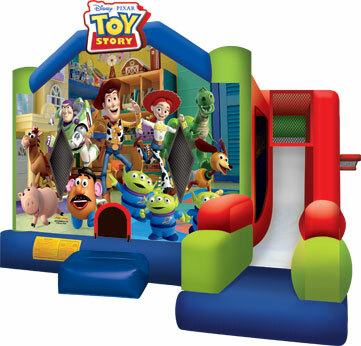 The exciting tale of Toy Story 3 can be re-imagined in this Toy Story Combo C7 bouncy house. This interactive bouncy house features the classic Toy Story characters, from Buzz and Woody to Rex and Hamm. 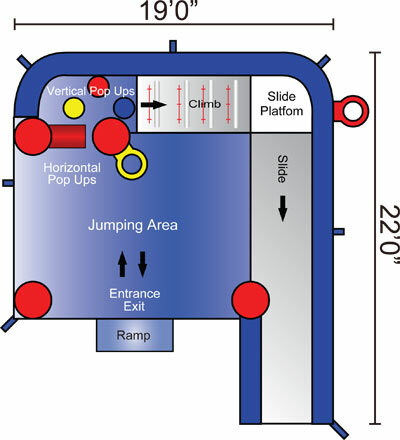 Participants will spend hours jumping, sliding and exploring their own Toy Story 3 playroom!